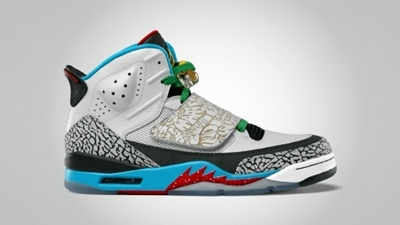 Jordan Brand recently released the Jordan Son of Mars in the market and the impressive and eye-catching shoe is currently hitting strides in the market. Released in “Bordeaux”, this silhouette, which is said to be the successor of the Jordan Spizike, features several elements of Spike Lee’s signature shoe like the pop art and the same colorway of the Spizike released earlier this year. This shoe won’t just give you a good look, but will also give you your’ money’s worth because of it’s top-class qualities. Make sure to grab your own now!